By the end of Thursday last week, I'd collected a mixed bag of magazines to read and I wonder quite what they say about me. I've always slightly admired the sort of single-minded enthusiast who can stick to one topic throughout their life. These are the people who produce amazing models having scratch built pretty much everything. Peter Denny for example, would never have created the Buckingham Branch if he'd run off and had a dabble with model aircraft or even (gasp) modern image. OK, he built a garden railway but it wasn't a huge diversion. Pendon wouldn't exist without Roye England's dedication in the early days. No diversions into Morris dancing for him. No, recording the vanishing scene and then reproducing it in miniature was his bag. I suppose the theme running through the collection of mags is making stuff. This issue of MRJ is the best in years with Gordon Gravett scribing wall surfaces and an amazing 4mm scale warehouse. My favourite parts of Practical Classics are those involving spanners and rust. A bit like modelling an Eagle Transporter, I aspire to have a go, even if time is short. Well, that and the lack of a garage with plenty of space to work (for the car, even a 44 inch Eagle wouldn't take up that much space). Assembly started in a shopping centre and completed back at home on the bench - this set of Metcalf Models cardboard shops has been around a bit. "Serious" modellers probably look down their nose at kits like these - and I'll admit I wouldn't use them on a layout myself - but I like them. For a start, they are attractive in a cartoony sort of way. Pretty even. Best of all though, assembly is within the skill level of pretty much anyone. 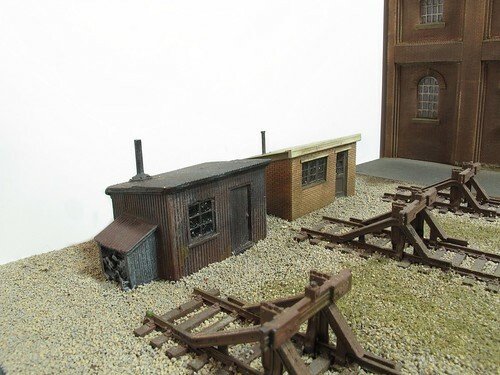 If you are a beginner, you can MAKE something for your model railway. All that is required is a knife, ruler and tube of UHU. Add a dash of patience and there is a the satisfaction of crafting a model with your own hands. From there, if the bug bites, who knows what you'll end up doing. 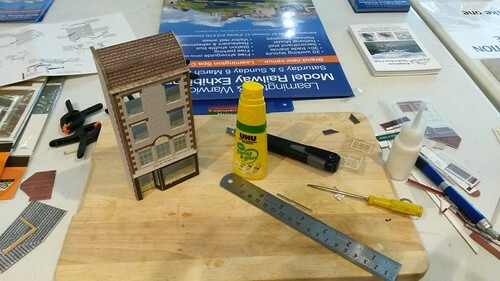 Last week, the L&WMRS managed to blag the only empty shop unit in or local mall to put on a pop-up mini show to promote the main exhibition in a weeks time. In the ex-mobile phone shop we had an N gauge layout, multi-gauge test track, micro O gauge model and a circuit of American tinplate 3-rail. The US models showed their build quality with a faultless performance running around an oval track making noises and generally entertaining the public. Just inside the door there was a table with my father and I occupied for a couple of days doing a bit of modelling. I had really struggled to come up with any projects portable enough so just loitered and chatted on the Saturday for a few hours. At least until there were enough other club members on hand so I could go and grab some sleep to get over a bug that was slowing me down. Sunday, I helped out assembling some Metcalf cardboard shops. Card buildings are great for this as normal people can actually understand what you are doing - sheets of brass or fiddling mechanical bits will turn them off as it all looks complicated and weird. Not to mention the smells produced soldering or painting aren't exactly pleasant. Anyway, we sat, we chatted, we gave away loads of leaflets. Some shops were part built, they came home for finishing off during the week. I wonder if we ought to do more of this sort of thing and less hiding away in sports centres with our own kind? Maybe if we took the chance to expose the hobby to the general public more often, we might be seen as less weird? Some new (to me) kit being tested here. From SHG Models we have a vac-formed plastic motor mount suitable for 380 sized units. It arrives with a pair of black plastic bungs that are to be fitted in holes drilled in the sides. The motor sits on a bed of sticky-backed foam strips and is held in place with a fat elastic band wrapped around the bungs. I'm not sure about this. Will the motor try to rotate in it's mounting? Would a blob of silicone sealant be a good idea to "glue" it into place? This isn't a speedboat for for the moment, I'll assemble the mount as expected. I can't always come back with glue later. Another new piece is the universal joint. This is made in three parts that aren't actually fixed together. The shafts on the motor and prop are only 2mm diameter so I wonder if this might have applications in the model railway world for O gauge and above models? Normally, model boat building starts with holes being made in the hull for the propshaft and rudder. With that challenge model, the biggest problem is that there isn't anywhere to put these holes. The hull appears to be a clinker built dinghy so no provision is made for powered drive. To fit this in, I had to hack a great big chunk out of the back of the hull and fill the holes in with plastic sheet. 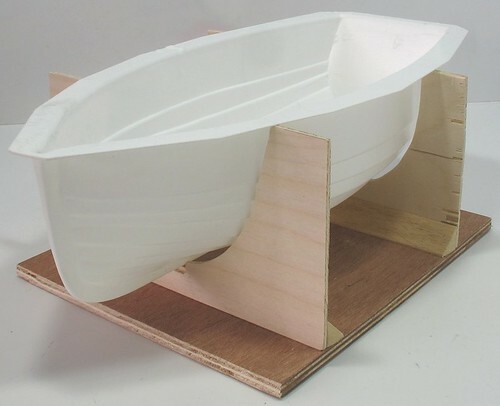 My plan involves a 40mm diameter propeller and some rough measurements showed this could fit with relatively little effort if the prop tube emerged from the keel. There was also the rudder to allow for - this could have hung on the back but fitting to the bottom is easier. The photo makes the angle of the prop look steeper than it is in real life. Ideally you want all the thrust to go backward but some downward is normal so the tube can be angled up into the hull to find a motor. 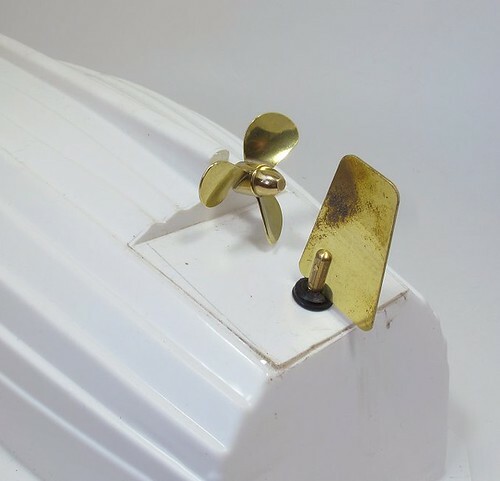 A brass propeller looks nice by the way but is ruinously expensive for a "fun" project at 13 quid or so. Sadly, Graupner who make plastic props went into receivership in 2012 so supplies of the cheap version are disrupted. If big is beautiful, then this is the best looking warehouse featured so far. Found on the edge of Doncaster, next to the Holiday Inn I stayed in, is this huge white box. If you feel the need for an unexciting aerial view, Google can oblige. I'm sure most people are wondering what the point is. Well, if you are building a modern image layout and don't want the bother of a backscene, this is a solution. A great big slab of wall behind the tracks. There are details - the vents in the side and the grey panels breaking up the white sides. The lights are nice too. You'd need to build this cleanly but I don't think that should be too hard. Weathering would be a challenge if you aspire to accuracy, the grot sits in a very specific and regular way in the metal wall panels. A little experimentation with colour would be required too. The white mustn't be white - far too stark on a model - but it's not as grey as my preferred Humbrol 147 either. Anyway, if nothing else, this is different! Out with the cereal packet card and sellotape. An hours messing around produced my first mockup for the superstructure. Time for a bit of non-railway action. As most of projects involve assembling things, it's fun to do a bit of plasticard noodling as a break. 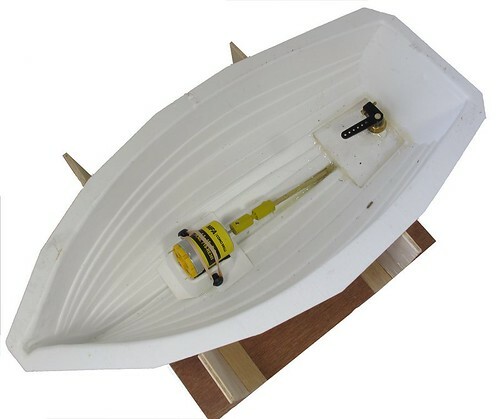 Our model boat club chairman's challenge this year calls for a working boat to be made from a standard hull. I arranged for the hulls from Sarik vaform and they are very nice. 33cm long and 13.5cm wide, although they look like a clinker built rowing boat, there are a lot of other possibilities. 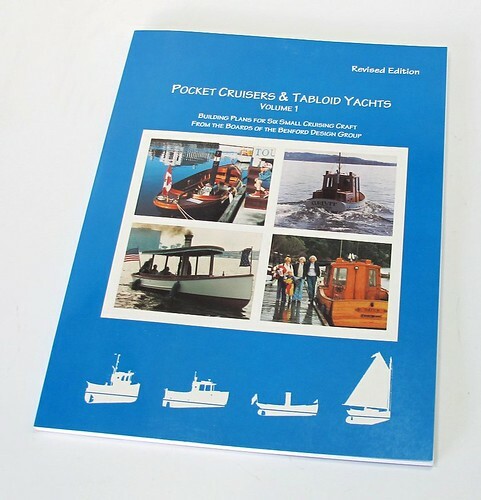 I fancy a small working boat and years ago found this fantastic book for inspiration. 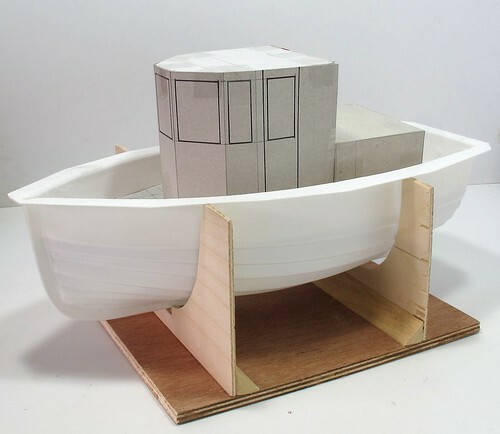 The plans are intended for people making full-size boats but that just means this is too much detail for modellers. The vessel that grabbed my attention was the 14' tug, Bullhead. My hull isn't quite correct but I reckon I can produce something in this style. There will be loads of room for motor and RC gear. All I need is to finalise the design. ...is when someone has been inspired by an article I've written to have a go themselves. Which is why I was so chuffed what at Doncaster a visitor arrived with an RS&H loco built from an ARC Models kit very similar to the one I built a few months ago. The sharp eyed will notice that the visitor is fitted with a giesel ejector supplied by RT Models and very good it looks too. 20 years ago last weekend, the very first Festival of British Railway Modelling took place at Doncaster Racecourse. We loaded up my campervan and headed up there with Melbridge Dock. As I recall, a good weekend was had apart from a quickly solved issue with the expenses where they wanted to pay by cheque in the post and we preferred cash in the hand (and soon in the traders tills). With the anniversary of the show upon us, I found myself loading up a hire van with two layouts, Melbridge Dock and Ruston Quays. I know I still have the camper but it's off the road and too small for 3 operators and 2 layout. In the middle seat was Chris Mead who had also been to the first show and was part of the group explaining how expenses are paid. Because it was an anniversary, the first thing we found on arrival was cake. 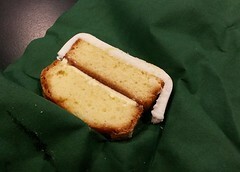 Quite a nice sponge washed down with a cup of tea. We set up in the foyer and then headed for the hotel. Doncaster always seems like the proper north to me but is only 2 and a bit hours from home. Even the traffic and collecting Chris only extended this to just over 3, so long enough to feel like a proper travelling show but close enough for a pain-free journey. One slight snag was that I'd managed to leave the RQ control board at home. This isn't the end of the world as it only holds the point levers (still no practical DCC system - told you analogue was better) but still a little embarrassing. A couple of phone calls and we'd made arrangements for it to be brought up by a fellow club member visiting the next day. Thanks Steve. Saturday opened with excellent crowds in front of both layouts. It might quarter of a century old but the Dock seemed to have at least ten people in front of its 6ft scenic section. My dad and Chris were kept busy all day talking about Sprat & Winkle couplings and Clyde Puffers. Over on Ruston Quays, I left the shuttle unit to run trains and talked. Continuously. My session in the lecture theatre was attended by around 50 people and quite a few found their way back downstairs later to ask questions. By the end of the day we were all tired and headed back to the hotel and adjacent pub for refreshment. Main course eaten, Chris and I had to try the monster deserts on offer. Quite why a gooey cake thing 8 inches tall needs to be accompanied by two piles of cream is a mystery - almost as much as how anyone could finish a portion! Day two was much like Day 1 except with less voice for me. I was very croaky by the end of the day and glad there wasn't a third. Before the crowds arrived, I managed to borrow a non-working APT-E pre-production sample to pose in my station where it looks rather nice. Despite not being a production example, and lacking rivets and details, it felt well assembled and surprisingly heavy. 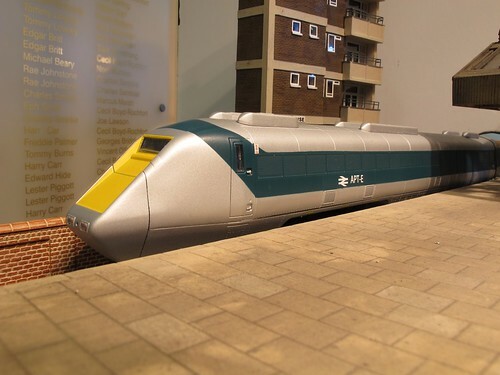 Shortly after the opening, I found myself presented with a Hornby HST power car which its owner said was squeaking on curves. The back to backs looked a little narrow on the problem bogie but when I went to fix this, one of the tyres came away from the plastic hub. A little superglue sorted this out and hopefully the model is now back in service. All this means there was very little looking around the show on my part. I did manage a couple of trips out and took some photos. The layout selection seemed varied. One visitor angrily complained that nothing was moving on any layout but I suspect he was unlucky as even at the times quiet enough for me to get out I saw plenty of movement. 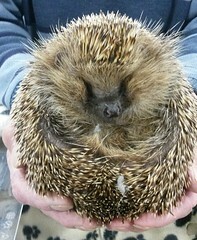 My favourite stand wasn't railway related - it was a hedgehog rescue group. Andrew the hedgehog was amazingly cute. He was born blind and so can't be released back into the wild but is quite happy to sit on the stand in his bed occasionally be handled so we could stroke him. Trade seemed good and I left having spent some money. One stand I didn't get to was the Really Useful Box Company one which had a few boxes that looked good for potential micro layouts. They seemed to good business without me though. So, a busy weekend but a pleasant one. Loads of chat and an elegant sufficiency of cake. If you dropped by to say hello, thanks very much, I hope you enjoyed it as much as I did. Trundling the layout back to the car from Warley, the one glued-down road vehicle decided to part company with the baseboard, leaving only a single wheelset. I've no idea what happened to it but wasn't inclined to go back to the NEC and find out. Obviously I'd like the replace the Coopercraft AEC with an identical model but can't find a kit for sale and while I'm sure there is one in my stash, it's well buried and I didn't get around to digging it out. The space looked a bit empty so I needed a quick replacement in time for the Doncaster show. 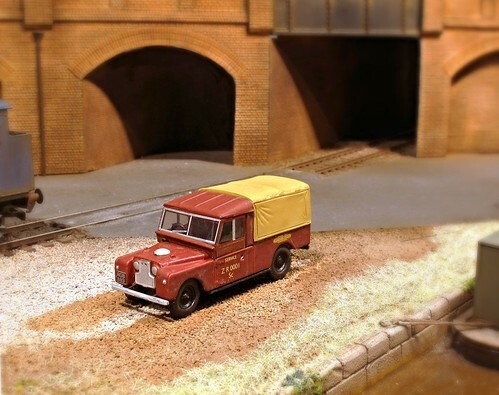 An Oxford Diecast Landrover was to hand so a quick coat of Testors Dullcote, applied by brush rather than spray to save masking, was followed by a wash of Lifecolor track dirt weathering paint. Total time required less than half an hour including drying time. On the layout, the model looks fine and actually attracted positive attention. One visitor was really impressed as he'd been stripping and repainting the models. Suddenly he realised that a simple coat of varnish might be all that was required. 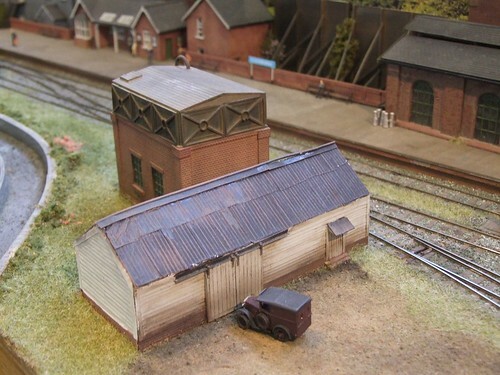 With the hut planted on Ruston Quays, it's possible to compare the etched building from Severn Models with the stonecast version. Not too bad but you can tell the detail of the metal version is sharper. Once bedded in on the layout, I think I'll get away with them side by side. If you look hard you'll spot the difference but most people don't do this - they see the overall scene and as long as nothing jumps out as too good or too bad, then the eye ignores the tiny differences. In the end you pays you money and takes your choice. The two models cost about the same as each other. 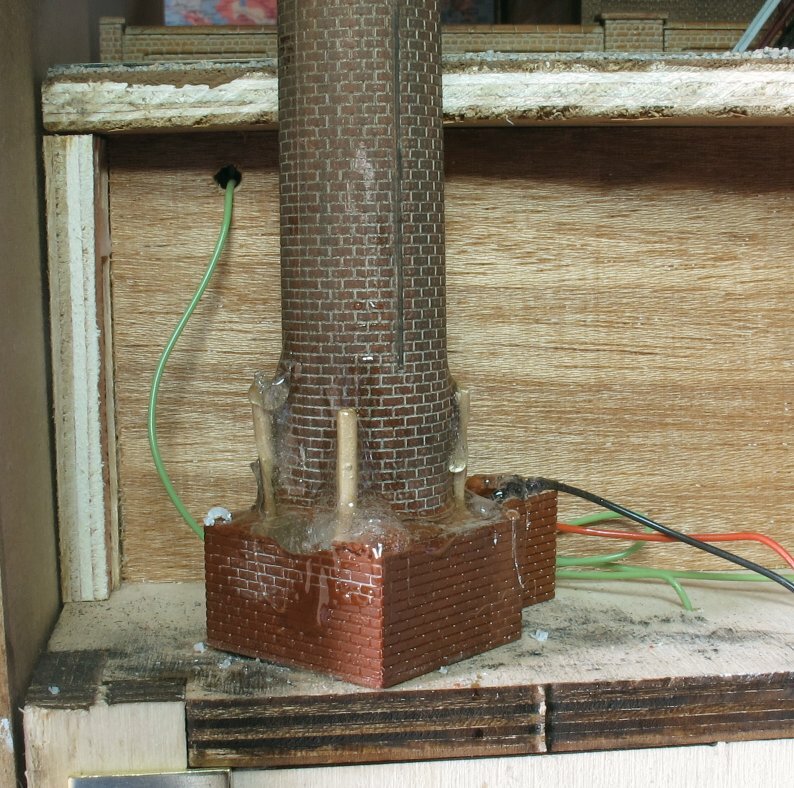 The etched brass version needs reasonably simple assembly whereas the cast hut can be dropped straight on to the layout. You don't have to paint it like I did but in it's original incarnation I wouldn't have been happy to use it. At least mine is unique! Also known as Carty Tileworks, this was a typical small rural tileworks, making clay drainage tiles for local markets. When built it probably shipped some of its produce to market, as there were the remains of a wood-piled quay beside the works. The view shows the single kiln in the centre, with the chimney which provided the draught for it. 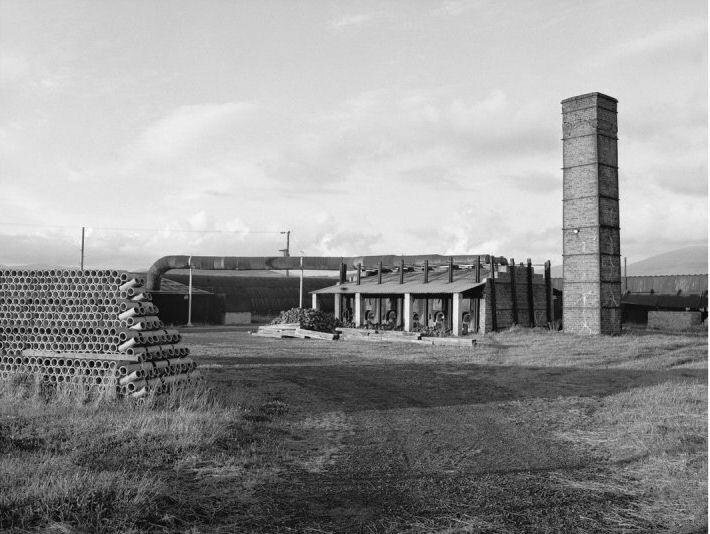 Behind it are the single-storey wooden sheds in which the tiles were moulded and dried before being fired in the kiln. This was one of the last ceramic drainage tile works to operate in Scotland, as flexible plastic pipes were already taking over in the 1970s. There is more detail and further view available from the Canmore website where I picked up the text above. 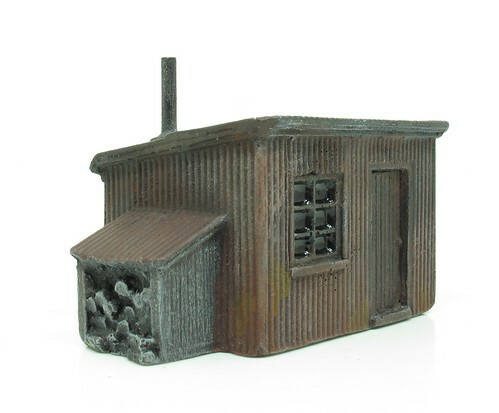 For modellers, the chimney could be bought (in 4mm scale) from Skytrex. Needless to say I can't find it on the website but I have a couple and they definitely came from there. More interesting for me is the pile of pipes. The arrangement seems to be designed to stop the tubes rolling around with angled pipes at ninety degrees to the main stack. It would be fun to model although I think you'd need to lay them individually. No chance of using pasta for pipes as I recall a Blue Peter annual recommended! Thanks to Duncan Young for pointing me at this and obtaining permission to publish. With some Lifecolor Rust Wizard paints to hand, I washed my hut's walls with various shades of rust. Starting with the Deep Rust, I ended up with the bright orange and yellow colours in patches. Using these surprised me as I'm not a fan of bright colours but they really work for fresh rust bursting from the metal. I'll set this on the layout and see how it looks. 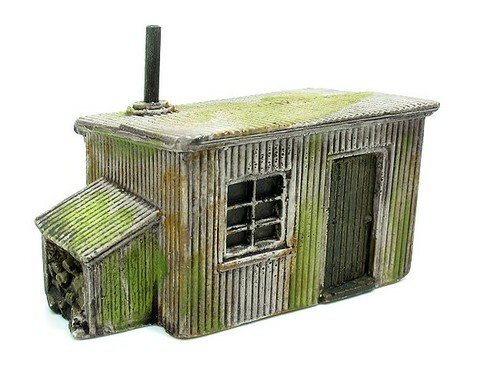 Looking around for a new hut to grace Ruston Quays, I found this model from the Harburn Hobbies range. Cast in stone, it's ready to plant on your layout but I really don't like the paint job and decided to have a go at improving it. I'm not a big fan of solid buildings so I fancied the challenge of making it look better to my eyes. My first thought was that a corrugated building like this would be painted black, possibly with pitch, to waterproof it. A spray can of Halfords matt black quickly sorted this out. But looking at photos, the roof might be black but the walls are a black/grey mix. 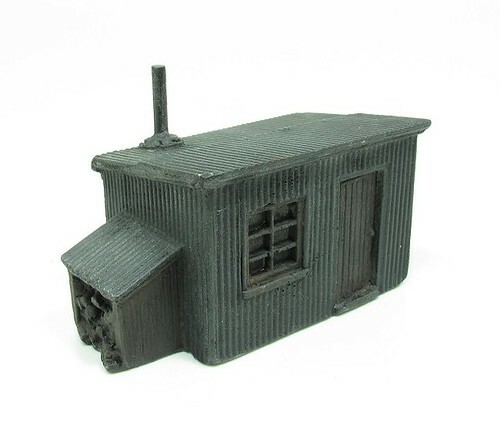 Since my pure black hut looked far too dark, I heavily dry-brushed it with grey. It looks brighter than the photo suggests but never mind. At the same time, I've washed the wooden bits with track colour to represent creosote or varnish. 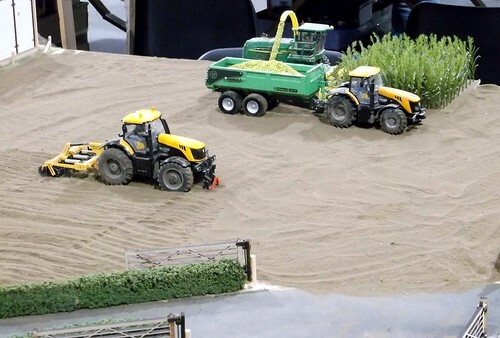 Now for something completely different - a model tractor show! I've seen this show advertised before but always been otherwise occupied. Having a free day this time, took the chance to go along. Heavy rain had turned the car park into a bog but quite a lot of the vehicles were 4 wheel drive with the distinctly agricultural air. 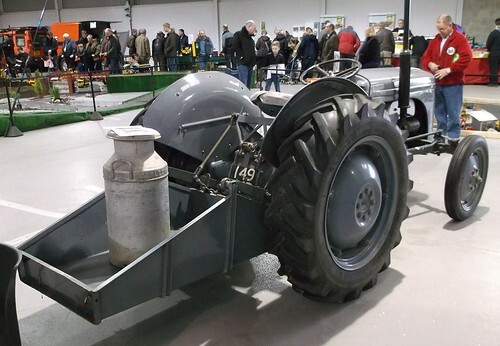 Inside, the first thing I saw was a display of grey Ferguson tractors. To be honest, I hadn't expected real vehicles but they were welcome as the exhibition centre would have looked a bit empty without them. Not being a tractor expert, the variety of implements attached was very interesting and should provide some modelling ideas. There was plenty of trade. Tractor and plant modelling seems to be largely a diecast collecting hobby and some of the diggers command eye-watering prices. 60 quid will get you a modest, simple model but it's going to be painted in gloss and not nearly as detailed as a working model locomotive would be for a similar price. If you want to go into three figures, it isn't difficult and a fascinating model will be in the box, but it's still static. Kitbuilding seems to have made little impression although there were accessories to change the implements on your models. Many of the visitors were obviously collecting and modelling what they know. Even the kids seemed to be dressed as posh young farmers with tweed jackets. 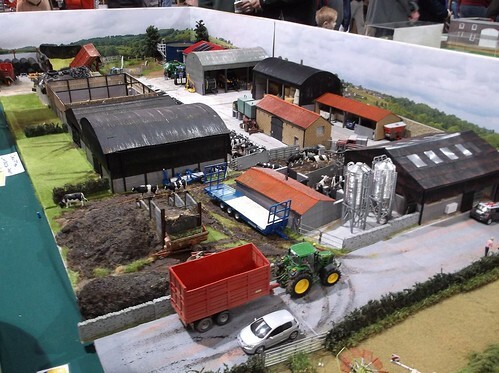 Looking at the model farms, for which you can buy kit buildings if required, they were small but contained all the features of a real farm. Not many railway modellers would build a silage clamp for a start. 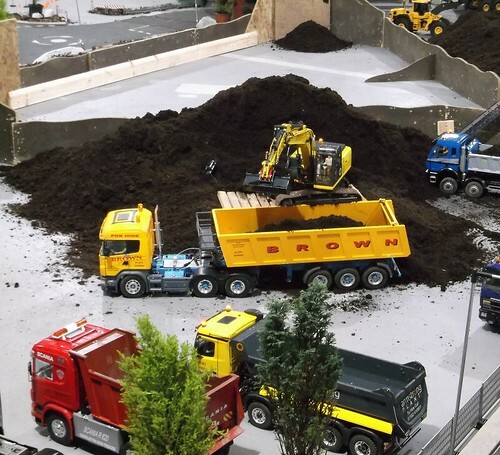 Highlight of the show had to be a the working radio control trucks and diggers area. A roadway was set up complete with Meccano bridges and alongside some earth had been dumped. Model owners then spent the day digging at this, dropping it into trucks and driving these to another area where the load was dumped again. The diggers are amazing bits of kit with many function RC units to allow full operation. Trucks all have lights and sounds so they can operate as the real thing does. Oddly, none of the kits or bits to allow you to do this were on sale at the show. Not that I was looking to throw hundreds of pounds at a digger but someone must have been judging from the number of models on display. Anyway, head over to Flickr for my feast of photos. First class! I travelled first class to Stafford. Well, from Birmingham New Street anyway. Thanks to bumping in to someone I knew on the station. His pass got us into the coach, although the only seats left were single coach style ones so I spent the journey sitting at right angles so we could chat. Never mind, the vintage bus awaited us so we could escape from the rain. At the show, I quickly started work on my shopping list. Well, I tried but the list was short and I got side-tracked. There's at least one unexpected kit in the bag. Several new traders were present, replacing others who dropped out. Id' say the range was as good as you'll find at any exhibition. Plenty of kits and not too many box-shifter RTR merchants. Layouts were excellent as always. 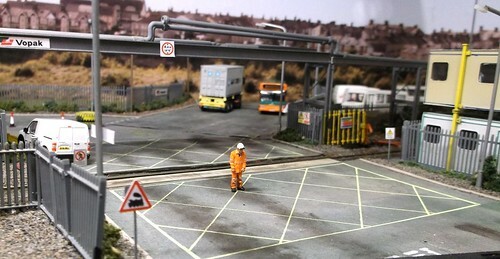 My favourite was Vopak Barry Docks, a superbly observed modern scene. Not just an excuse to run some diesels, all the detail you'd expect - signs, barriers etc. was present. The builder visits the site regularly for work and gets plenty of photos from the comfort of a 7 1/2 ton truck! I noticed an awful lot of DCC going on this year. NCE Powercab controllers seem to be the device of choice with many operators staring at the mass of buttons and some actually knowing what to do with them. Plenty of sound equipped diesels were rumbling around but in most cases, adding noise isn't an excuse not to do any actual modelling. 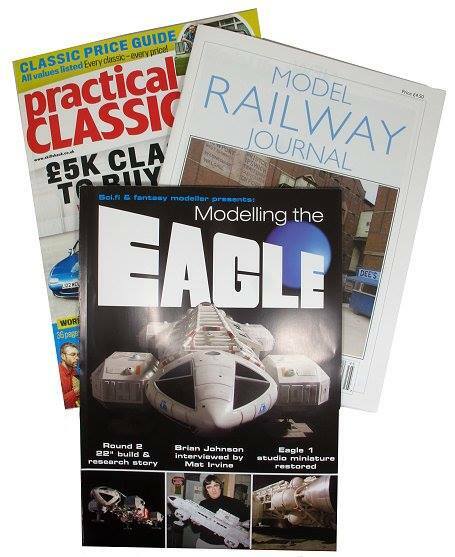 Talking of sound, chatting to a friend with his layout, it seems that some layouts are notorious. We have both encountered one where the volume is far too loud and the operators refuse to turn it down, or at least claim this isn't possible. Arriving before the doors opened, I took advantage of the excellent cafe on the site for a quick sausage roll. Later on, more tea and a slice of cheesecake kept me going. Both the cafe and the show itself were busy although a couple of people suggested it was slightly quieter than normal. I suspect the heavy rain put people off for a while and I certainly picked the best way to getting there. No trudge across the showground from a car parked to avoid the normal grass parking. A vintage bus is far more fun, even if the windows are so steamed up you can't see out. Despite the weather, a trip well worth making again. Have a look at my photos on Flickr. Today, I'll be packing up two layouts and heading up North to Doncaster. It's 20 years since the first Warners exhibition. At the time I was working for a vegetable research institute and writing the occasional article for BRM. 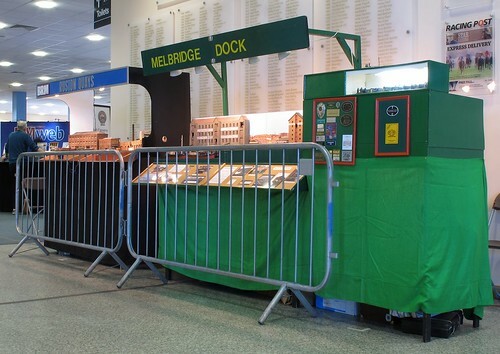 As Melbridge Dock had recently been featured in the pages, we were invited to exhibit. All went well except the organisers needed a bit of education in the importance of paying expenses on the day, not by cheque some time later. All this has long since been sorted. I did mention it in an article I wrote at the time giving a behind-the-scenes view of the event. The 20th show sees me working a lot of the time for BRM and of course, I'm expected to bring Ruston Quays along. In addition, I suggested that it might be fun for Melbridge Dock to make a return visit. 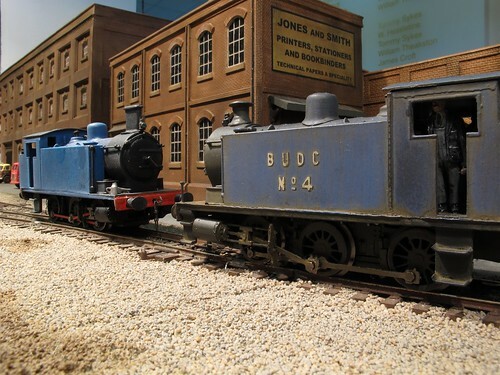 I'm not sure there will be many layouts able to do both shows! My father will be looking after the Dock, ably assisted by Chris Mead, another veteran from the first show. Assuming we get there OK, please drop by and say hello. We'll be in the foyer, except when I'm in the theatre talking and audience through the RQ build. 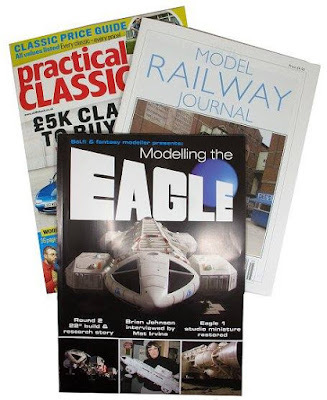 The Festival of British Railway Modelling website. 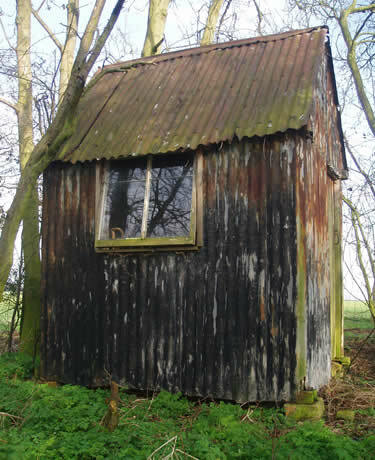 Duncan asks: Years ago- 40- I bought some Slater's clapboard and clagged it together to make a NER waiting shelter. It did not stand up well to my card models- reinforced cereal boxes with Superquick brick/stone papers. I am returning to card construction- it's a lovely medium- and would be grateful if you would please advise me how to create the clapboard in wooden shelters and signalboxes without going mad! Hmmm. Not sure I can promise you won't go mad, but maybe I can give some pointers. I think there are two things to do before you start. First - Mark the building to be clad with lines for follow with the boards. I draw lots of pencil lines on the card shell. Don't try to do this stuff by eye. Second, cut lots and lots of strips of very thin card or even paper to use for the boards. Cut more than you think you need. Do this the day before cladding. It's not an exciting job but like tiling a model roof, if you are in the right frame of mind, it can be very relaxing. You'll need to have all the ingredients to hand though. Planking starts at the bottom with a completely hidden sliver of plank. Then apply a smear of PVA to the wall for the next few planks and fix them in position. Don't rush this, I know real clapboard can be wobbly but it's an easy effect to overdo. The vertical strips at the end will tidy things up as well and these just stick on the face of the clapboard. This might not be right but it's easy and neatness wins in the job like this. Don't try to do too much in one session. That way madness really lies. A slightly offbeat building this week. If you take the train to Stafford, just across the road is Victoria Park. 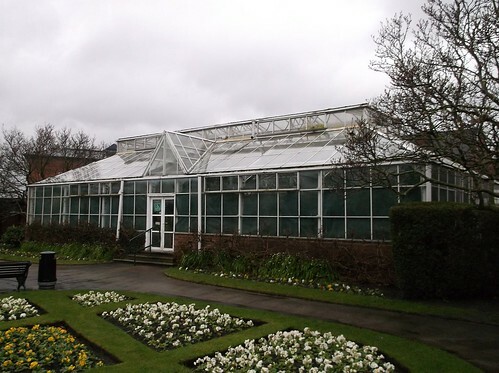 In the corner of the park is an aviary and fantastic hothouse. Just the place to escape to when it's cold and wet. Even if the weather is kind, it's a lovely tranquil spot. 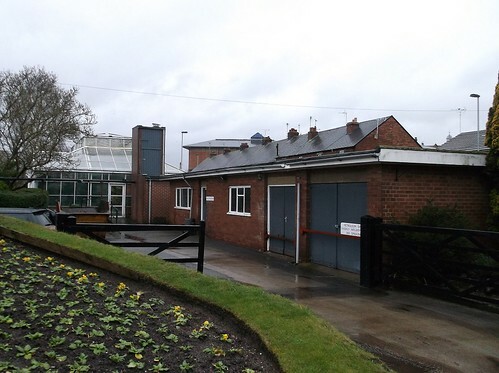 Anyway, as well as the glasshouse, there is a civic nursery and these buildings for storing vehicles and stuff. I'm guessing the the Petroleum Spirit sign leads to a council van. An in-town location explains the extra security bars. What I like is that they are the sort of anonymous structures that used to be everywhere. Built in an era where you did a proper job with bricks rather than a pre-fab, these could be 30s, 50s or even 60s. This is an unfussy building but that just makes it ideal for modellers looking for a reasonably easy life. Perhaps because of this, you could sit it in the corner of most layouts. It's rare to see one as unmolested as this, not even some signage indicating who it belongs to. 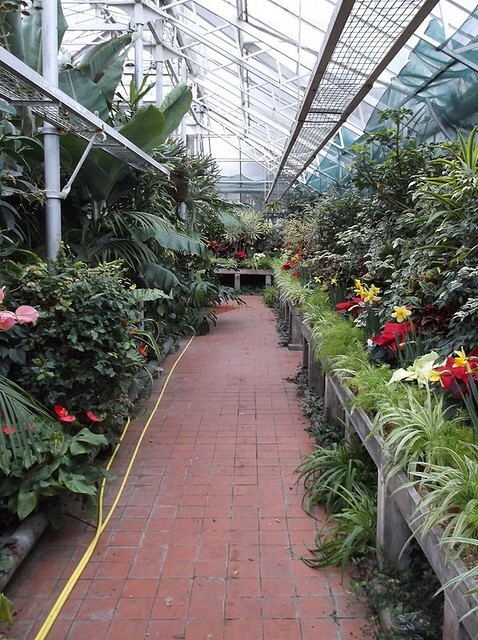 The hothouse itself is simple but interesting. Lots of glass would make it a challenge to build but less so than the more ornate Victorian versions. Inside is lovely and so full of plants, at least that bit of a model would be easy. 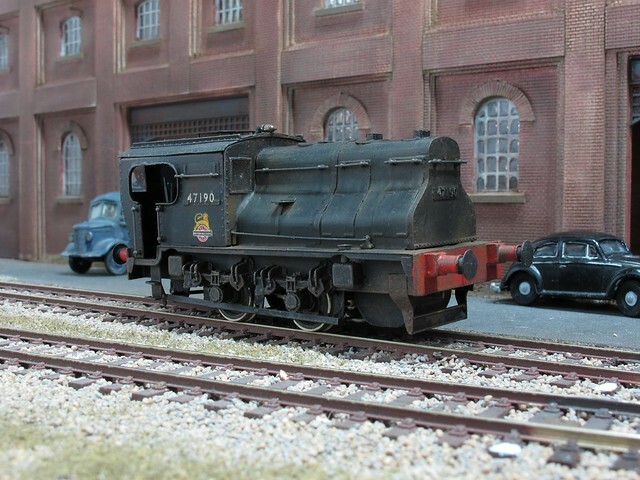 Jim asks: Can an acceptable paint job be done on a loco by brush - I'm thinking smallish, specifically a Hornby Sentinel - if so, what's the best way to go about it please? I think it partly depends on what you term "acceptable". If the answer is, "looks like something Iain Rathbone would do" then the answer is no. There's a good reason he uses an airbrush and a bucket of skill. If you are after a "layout loco" that will appear fine from normal viewing distances then the answer is "probably". Most of my locos have the main colour applied with an airbrush and the rest, usually black bits and buffer beams, painted by hand. I do this because I'm too lazy to mask these parts up properly and even if I did, sorting out the inevitable paint creep will take longer than doing the job by hand. Some paints seem to work very well when applied by hand and luckily, Humbrol 33 (Matt black) is one of those. In pre-airbrush days, I'd have painted the lot and been perfectly content with it. 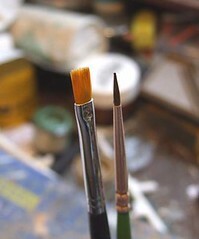 The key is to use new paint and a very clean brush. Work logically around the model so you don't need to go over parts twice - once the paint starts to dry you can tear the surface by dragging a brush over it again leaving marks. Don't try and cover with one coat. Better to apply 2 or 3 thin coats (and you may need to thin the paint, UK produced Humbrol seems very thick these days) than a single sludgy, detail-hiding one. Large flat areas might benefit from a very, very fine sanding between coats. Brush dust away and store the drying model in a warm and sealed box. Then consider weathering the model. A bit of dirt hides a multitude of sins. A wash of brown and perhaps some dry-brushing brings the detail alive and unless the main colours have applied really badly, will make it looks like the model has seen service. One issue will be with transfers. These really do like a flat surface and preferably a glossy one. You can hand paint colour but varnish is another matter. I really do suggest getting a spray can for this unless it's a very small area. Talking of spray cans, don't forget these. If it's a black loco then Halfords sell a nice selection of cans. They also do a huge range of shades for your main body colour. Of course you could buy modelling paints in aerosol too but perhaps these aren't so easily available. Personally, I haven't painted a black loco black since Humbrol introduced their mini-sprays back in the 1980s (I think) as the results were so quick and good it wasn't worth the effort. Anyway, the answer is yes. Perhaps practise on a cheap second hand model first, but go for it. Richard asks: I know you have one of the Expensive Frame Jigs, did you get a chance to try any of the others before buying it and which one is it. I'm guessing you are referring to the Hobby Holidays chassis jig. It's a wonderful tool but, as you say, not the cheapest in the world. Whether you consider £200 a worthwhile investment depends on how many locos you intend to build. Operation is simple, set the axles to match the crank pin holes in your connecting rods and then build the chassis on them. You'll be confident that wheel and rod centres are identical and that all the axles will end up parallel. I've built several chassis on it and every one has run straight away. And no I didn't buy it myself, I inherited it from a late friend who would be delighted that it was still in use. Before this, I used a jig from the other end of the price scale. London Road Models aluminium jig axles. Now stainless steel, they are only 4 quid a set. 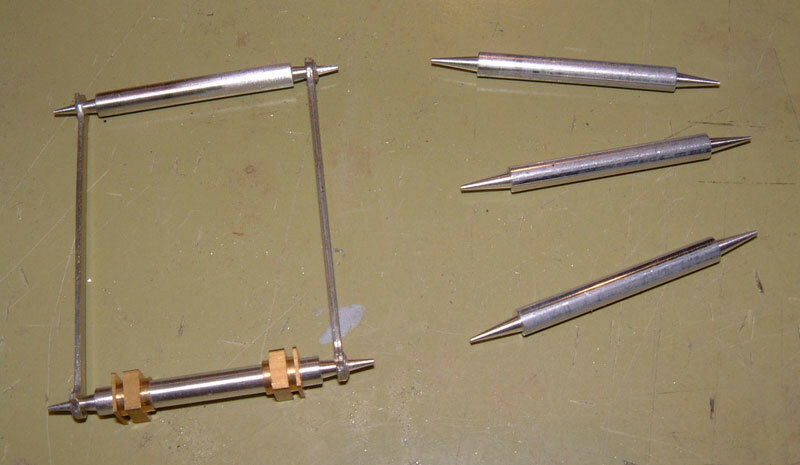 With these you build the chassis but don't solder in the bearings. Put the axles through the bearings as though you were putting in the wheels and poke the points through the holes in the con rods. Then solder the bearings. Again, the wheel centre to rod centres will be spot on removing a major cause of poor running. Making a square chassis is down to you but not too difficult to do as if it's too far out, you'll never get the jig axles in place. These are the only jigs I've used and I'm happy to say that both are excellent. The axles are so cheap it's daft not to buy a set. The bigger jig, well it makes the part of loco building I hate, reasonably pleasant. I own a few expensive tools and had I not inherited mine, could well have been persuaded to part with the cash for this one. My feeling is that if the tool helps you finish a kit loco then it's probably worth it. A half finished loco kit languishing in a drawer is expensive no matter how little you spent on it. A completed one you enjoy isn't, no matter how much money it cost to get there. Spotted on The Register a few days ago, Researchers at the Smithsonian Institute are planning to show off the original model Starship Enterprise from the TV show. Before they can though, it needs restoration after years of hard work in the studio. I'm always fascinated how much mucking around studio models experience and how little we see of this on screen. Space 1999 Eagles were re-painting, repaired and modified through their lives and yet we didn't spot it. (OK, people who sit with the pause button on a DVD probably do but I'm happy that's not me). It's sacrilege, at least as far as one of my friends is concerned, but I don't even think this is the best version of the Enterprise. The modified and updated model from the first film looks far better to me. I wonder where it it now? Anyway, go and read the article, it's fascinating. I have been modelling recently, it's just not all that exciting. For Ruston Quays, I need a lot of bridge parapet for the back of the high level section. So, on Thursday I made use of the one of the L&WMRS modelling trays and sat at the "tea and chatting" table making up the parts. Assembly is easy so didn't disrupt the main activities. In fact I even manged to east a jammie dodger as well. Rooting through the Wills arches kits, I found a few but fortunately parapets are also available separately as for some reason I don't have enough. In fact I still need to go shopping for more. I like Wills kits a lot but have a problem with this one. When the walls are placed back-to-back, they don't seem perfectly square. I level the top edge and if required trim the bottom but it is odd in an injection moulded part. A feature of Ruston Quays that has proved popular but troublesome is the chimney at the back of the scene. Popular, because at the touch of a button it belches pungent smoke everywhere. Troublesome, because the stupid thing keeps falling over. It seems that the Faller plastic kit, fitted with a smoke unit, isn't strong enough to stand being swung around while transporting the layout. The chimney to base join keeps breaking. At shows, I've also noticed the thing isn't vertical but can be prodded to correct it. Finally, it had fallen off again so I've determined to fix it for good. The base is filled with balsa wood, I did this when I built the kit anticipating problems, so I've drilled 2.5mm holes in it and forced cocktail stick in these. Finally, loads and loads of pound shop epoxy has been built up to bind the lot together. You'll be pleased to know I did remember to check the verticalness with a small spirit level on the top. Now dry, the stack seems a lot more solid than it was before. Prodding it doesn't move anything. I've still wondering if another dollop of glue wouldn't go amiss though. It's a busy month for me in the March issue of BRM. Since this is a Somerset & Dorset special, I find myself building an etched brass model of the Radstock Sentinel. Not a shake the box kit, this model from CSP/Agenoria is chock full of detail and probably wasn't the best choice for a combination of tight deadlines and a heavy cold. There's a lot of bits in the box and if you fancy having a go, make sure you can take your time and enjoy the assembly process. As it was, I got out all the toys for this one with rivet press, rolling bars and RSU all finding employment. On Ruston Quays I've been building some run-down platform canopies. This was a project I struggled to get my head around initially. I sort of knew what they should look like but couldn't find a matching picture. 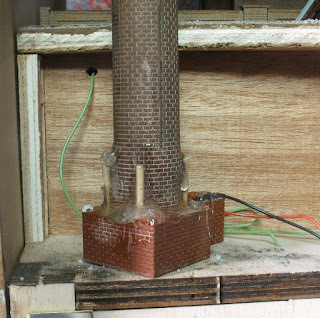 In the end, I just built the model and hoped it would be OK.
Leaving the part built version on the layout at Warley proved that if I wasn't right, no-one was going to tell me. The finished model looks great and adds to the atmosphere of the model. Work on the BRM card kit continues with fitting out the cafe interior. Obviously this involved making some 4mm scale cakes - which turned out to be a lot easier than I expected, even if they aren't edible! 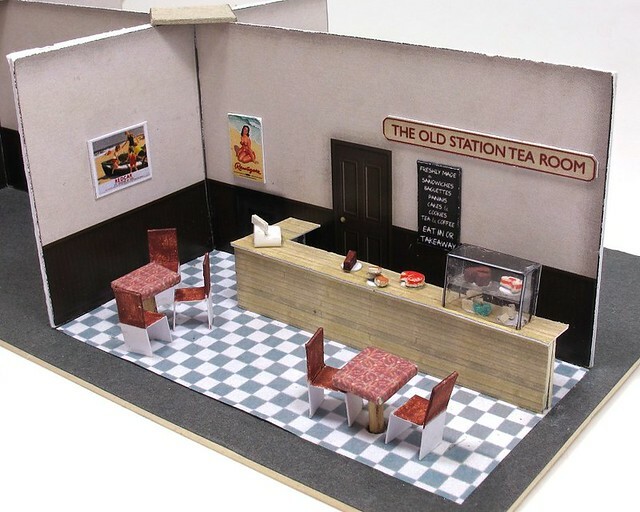 Since not everyone wants a cafe, I've taken a more general look at building interiors and made up a couple for a Hornby resin building using Scalescenes and Faller parts to produce 2 very different looks. There's loads about this both on the page and the DVD. 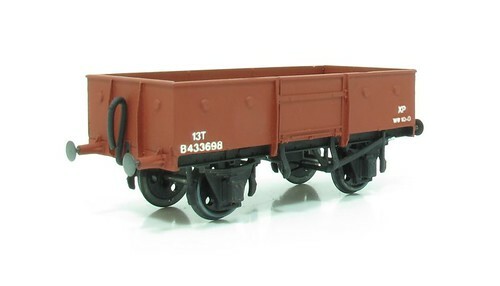 Finally, we have another wagon, this time in 3mm scale. It's probably the most conventional build I'll do in this series being a nice, modern, Parkside Dundas kit. 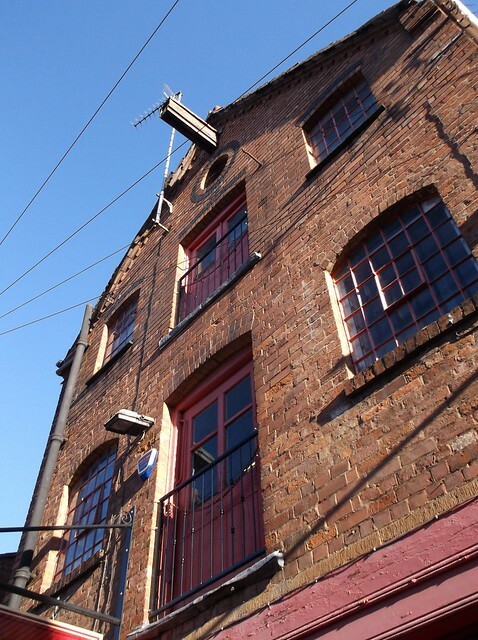 Hidden down an alleyway in Leamington is a warehouse. Now a gym, it is an interesting brick building right in the middle of several others. The "road" in front is little more than 10 feet wide. Logically, the warehouse must pre-date the buildings in front of it. There should have once been more space for goods to come and go. Logically, but the buildings in front seem just as old and certainly date to the Victorian era judging by old photos of the street. According to the gym website, it is a listed building although I can't find any details - the nearest listing is for the shops in Bath Street next door. 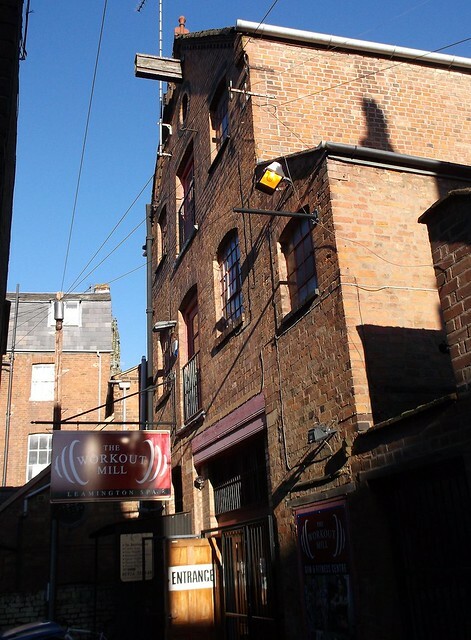 You can see the building on Google Streetview although the marker is in the wrong place, the mill is the large building at the end of the alleyway/street. Today's slightly random picture is an IP Engineering Lister diesel kit I built many years ago. Picked up cheaply when they were selling some excess kits off, I built the model and then sold it on eBay to help fund my Manx model obsession. As I recall, it was a pleasant enough kit and looks very nice. 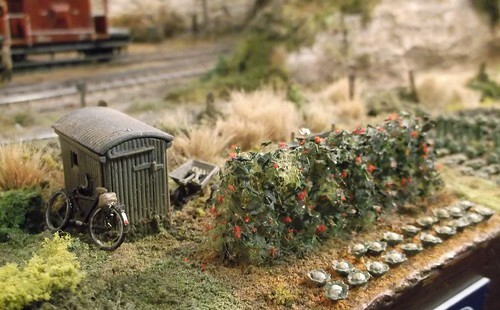 At £80 it's not expensive for a garden railway model. 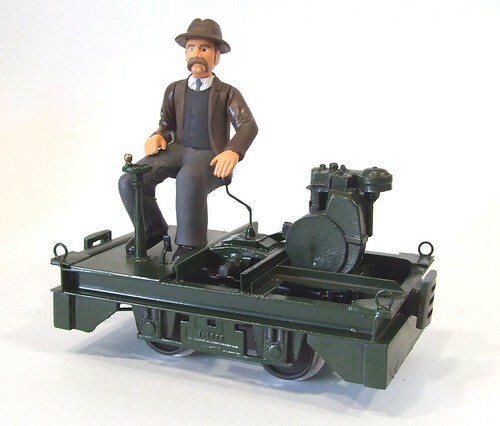 The driver is a Bachmann G gauge figure with minimal modification. Somewhere under there is a motor and battery box. No room for radio control I suspect unless you are very clever. Apologies if the posts on here have been a bit random of late. I've been working on Ramsay's guide and also a stack of magazine projects. 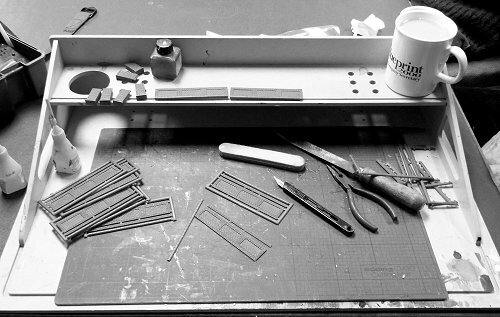 Free time is minimal and if I'm honest, the impetus to rush to my workbench for fun hasn't been strong. I think there is light at the end of the tunnel and hopefully by the end of this week, things will be a little more normal. In the meantime, have a photo of the rather excellent track cleaning car on Manston Airport. It's a clever idea - just a piece of hardboard under a heavy wagon. The decoration is what appeals to me and seems appropriate for today.